Treadwell Group caters to the food and beverage processing industry with its innovative HygiGR8® range. 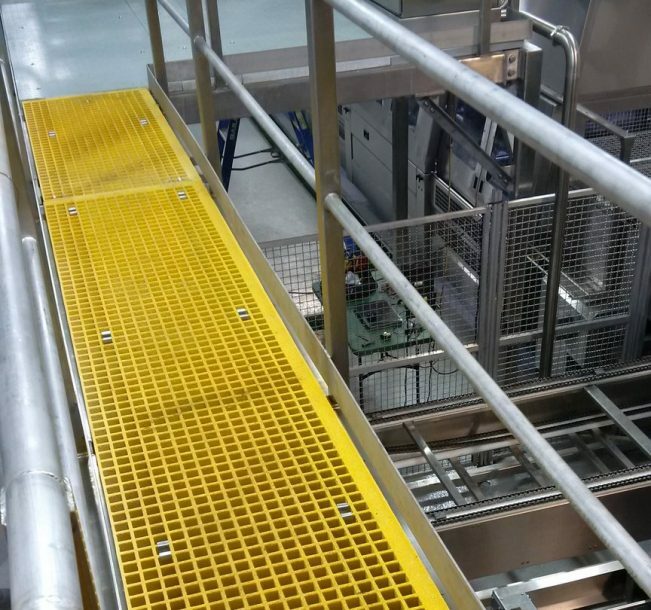 To address major hygiene issues encountered during food processing operations and focusing on cleaning processes, HygiGR8® is an encompassing food grade grating option when developing or renovating food manufacturing facilities. HygiGR8® is a specially designed combination of solid top as well as open grating. This offers a viable solution to the hygiene issue of produce entrapped between the grating and support members. The careful layout of HygiGR8® panels ensures the solid top section of customisable width around the edge of each panel is located so the beams that make up the substructure are covered by the solid band. 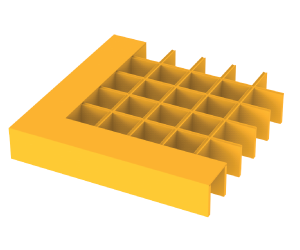 The grating is made with a high quality polyester resin that is tested to food standards. Each panel is cured and washed prior to packing for the dispatch. Treadwell accredits its HygiGR8® to be safe for all the domains that are associated with food and beverage processing when properly installed and maintained as an ergonomic or anti-slip walking floor surface or covering. Meeting the protocols set by USDA, system can be adapted to any floor plan. HygiGR8® also incorporates treads manufactured to the same standards which mean any flooring incorporating walkways and stairways can be completely covered by HygiGR8®. Anti-Slip Surface - A gritted and anti-slip surface should be utilised so that maximum traction is ensured, especially for those situations where it is wet and slippery. The structure has an amazing frictional coefficient and is durable as reported by the NATA lab test. Concave Surface - The product is readily available as a concave surface. This ensures easy, fast and efficient cleaning especially in environments where the by-products remain entrapped between serrations. One must note that the anti-slip properties are not as emphasised as the gritted surfaces.